Got a question about parking in the Daytona Beach area? Wondering where to find the best local camping spots? We’re answering your most frequently asked questions and offering our top tips for making the most of your vacation in Daytona Beach. 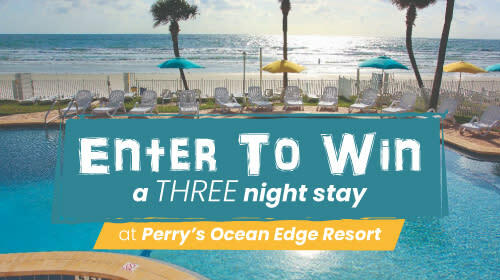 What’s the best place to stay in Daytona Beach? 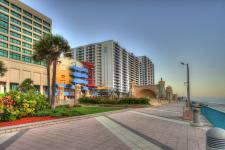 Finding accommodations for every size vacation crew and budget is a breeze in Daytona Beach. Whether you’re looking for a luxurious oceanfront hotel or condo, a quaint bed and breakfast or a fully-serviced campground, you’ll be able to find a great value on whatever you think best suits your family. Where can I find parking at Daytona Beach? One of the best parts of a Daytona Beach getaway is how uncrowded it feels, even during peak season. Compared to how difficult it can be to park near other beaches, Daytona Beach offers beachgoers lots of public parking options. 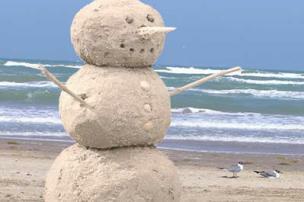 There are over 3,500 off-beach parking spaces near the beaches. And, for a small fee, you can drive your car onto and park it right on the beach in designated areas! View all public parking options for beachgoers in Daytona Beach. 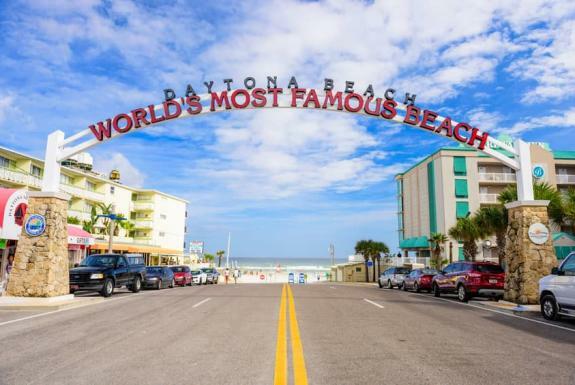 What are some things to do at the Daytona Beach Boardwalk? If you’re looking for family fun in Daytona Beach, don’t skip the iconic Daytona Beach Boardwalk. With everything from thrill rides to snack bars to street performers, you’ll find unlimited fun along the Daytona Beach Boardwalk and Pier. This entertainment center is just south of the Ocean Walk Shoppes and the Daytona Beach Bandshell. Whether you come for the classic arcade games, the pier or the restaurants, learn all there is to do at the Daytona Beach Boardwalk. Where are the best places to fish in Daytona Beach? With beautiful weather year-round and a number of settings to choose from, fishing in Daytona Beach offers something for anglers of all levels. Before you bust out your bait, learn all about the inshore fishing guides in Daytona Beach, the ins and outs of surf fishing here and the area’s five best places to go pier fishing. And, be sure to brush up on our top tips for fishing in Daytona Beach. Do I need a fishing license to fish in Daytona Beach? Whether or not you need a fishing license depends on what kind of fishing you’ll be doing on your trip. If you are angling from a chartered fishing or party boat, fishing off of a licensed pier, or are under the age of 16, you are not required to have a license. If you are fishing elsewhere, like directly from the beach or in the Halifax River, you are required to have a license. You can easily obtain a temporary fishing license online if you arrive and want to fish before a license can be mailed to you. 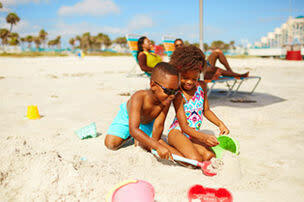 What fun things can I do with my family in Daytona Beach? 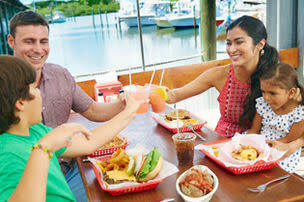 When it comes to new adventures for all ages, the possibilities are endless in Daytona Beach. Rent a kayak or paddleboard and explore the many inlets, rivers and waterways; see the area from new heights when you climb to the top of Florida’s tallest lighthouse; rock out to a free summer concert at the Bandshell; ride bikes along our 23 miles of beaches, take a surfing lesson and so much more! 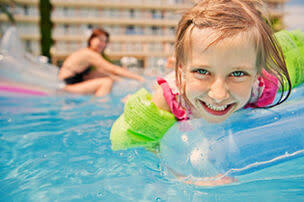 View more ideas for family activities in Daytona Beach. What airports serve Daytona Beach? Daytona International Airport offers flights from major airline carriers such as American Airlines, Delta and Sunwing. And, because the airport is conveniently located less than 5 miles from the beach, you can go from suitcase-rolling to water splashing in no time! Learn more about how to get to Daytona Beach today. Where should I stay for Daytona Bike Week? 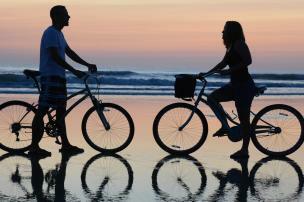 Whether you want to wake up to the sunrise on the beach in an oceanfront hotel or stay somewhere more centrally located to Bike Week events, there are a number of accommodation options for Bike Week in Daytona Beach.Explore all of the available places to stay in Daytona Beach, as well as all the latest Bike Week updates! Where can I camp in Daytona Beach? If you want to take a step back and experience the area from a more peaceful, nature-oriented setting, consider one of the top four RV parks and campgrounds in the Daytona Beach area. Staying at one of the area’s RV parks or campgrounds is a great way to experience a side of Daytona Beach you haven’t seen before — explore your options now! Where can I find live music in Daytona Beach? From tribute bands to big stars to community theater productions, this city has no shortage of arts and entertainment. Next time you’re looking for a little live music in the area, check out these top Daytona Beach performance venues. Looking for something a little bit more laid-back? Find a warm breeze and cold drink at one of these six beach bars with live music in Daytona Beach. Are there free concerts at the Daytona Beach Bandshell? Now your questions are answered, so what are you waiting for? Start planning for your Daytona Beach getaway now! Download our free official visitors guide or sign up for our e-newsletter.